Welcome to Emma Girard, Psy.D. 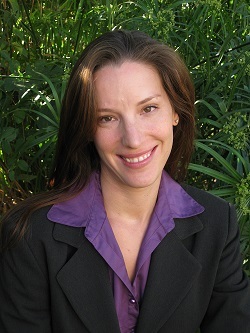 Emma Girard, Psy.D. is a licensed clinical psychologist and Certified Master Trainer in Parent-Child Interaction Therapy (PCIT-I) whose private practice includes working with children, adults and families specializing in treatment of trauma, depression and anxiety. Dr. Girard also works part-time for Riverside County Department of Mental Health, Preschool 0-5 Programs and disseminates Parent-Child Interaction Therapy (PCIT) to 15 sites within the department, having trained over 75 clinicians. She can be seen driving a 39 foot mobile RV to implement the Mobile PCIT program, delivering services directly at school sites. Honored by UC Davis CAARE Center for outstanding practice in PCIT, she was on the expert panel at Duke University for the dissemination plan of PCIT across North and South Carolina and is a current member of PCIT International Task Force on Training. Dr. Girard's experience includes treatment in locations such as a girls residential treatment facility, county mental health, community based treatment offices, university counseling programs, and a Native American boarding high school.